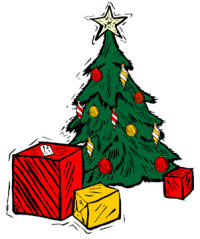 The markets are quiet with Christmas fast approaching on Saturday. 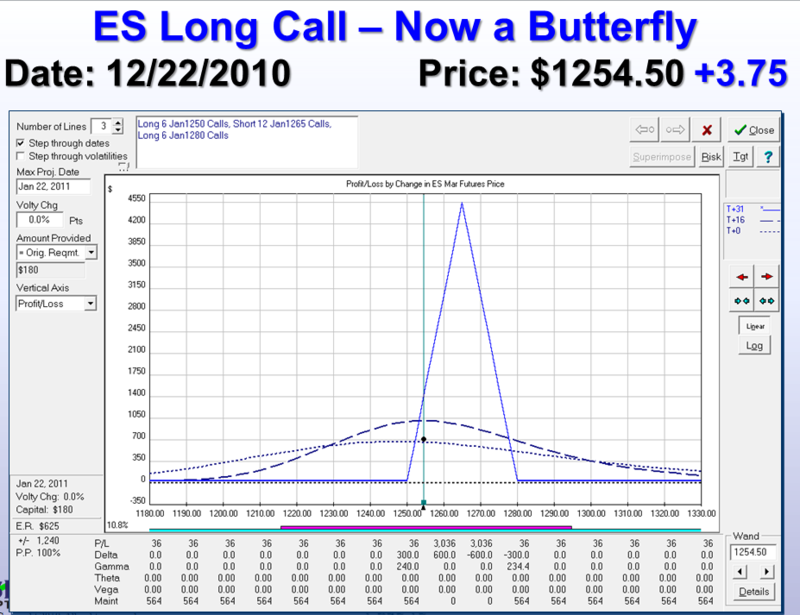 Even so, ES rallied enough to convert our long calls into a riskless butterfly position. OK OK I know it’s not REALLY riskless. We could take the +$710 profit now and be done with it, but it’s all house money. A gift from the Market! We’re putting it into another trade essentially. If anyone tells you something like this is riskless, ask them to take the trade completely off and pocket the $710. Now.. put a new trade on. Is that new trade riskless? You’re just playing with house money. This accomplishes the goal of reducing our exposure as our original capital won’t decrease and we still have a good opportunity to have a nice profit on this trade. We can leave it until expiration or if it’s in the butterfly profit zone at a later date, profits should be higher than what we have now. A Butterfly Spread is really two opposing vertical spreads (one bullish and one bearish). So as ES moves, we can also play these two embedded spreads back and forth. We’ll discuss this as ES moves. GOOG and ZB moved in our predicted direction but not enough to do any position adjusting at this point.